The View Client is the primary access method for accessing View Desktops, it can run on IOS,Android,Thin Clients, MAC and PC’s/Laptops. 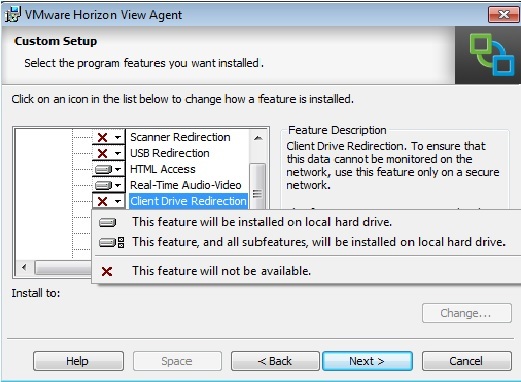 With the latest release VMware have provided us with the ability to redirect client drives a feature which has been available to Citrix users for quite some time. Check the latest Brian Madden review of this here.